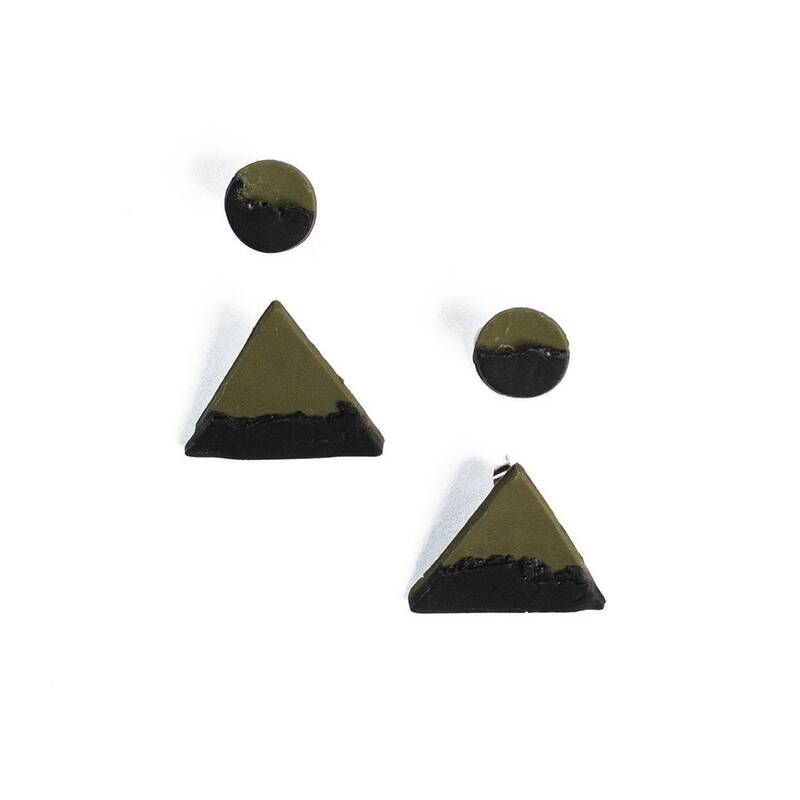 Handmade from polymer clay each pair is uniquely designed and no two earrings are the same. Please allow for variations in patterns as each pair is uniquely handmade. 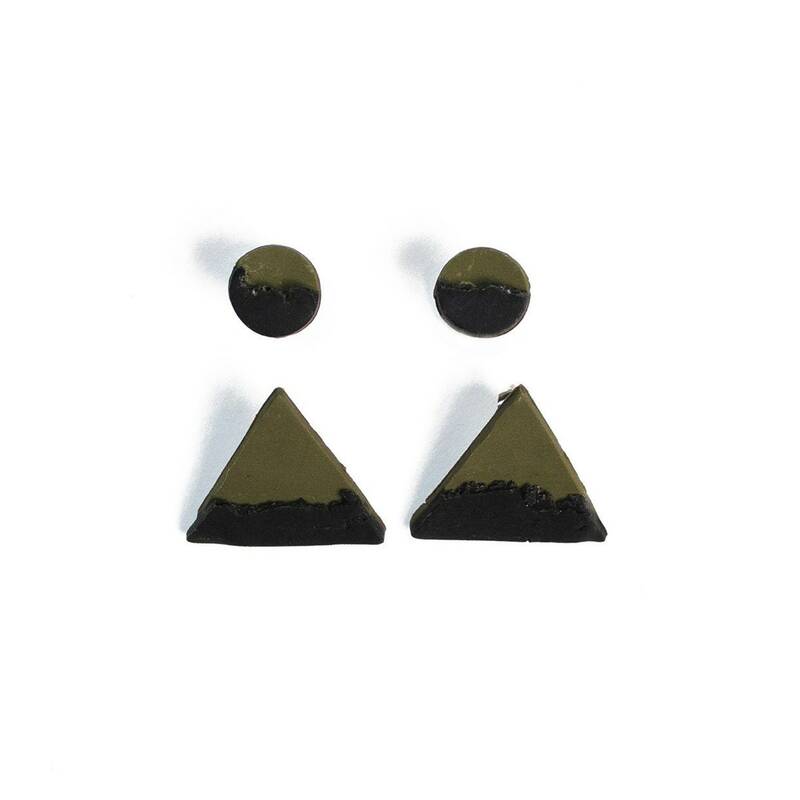 All earrings will be the same size triangle and small circles with a camouflage green base and black bottoms. 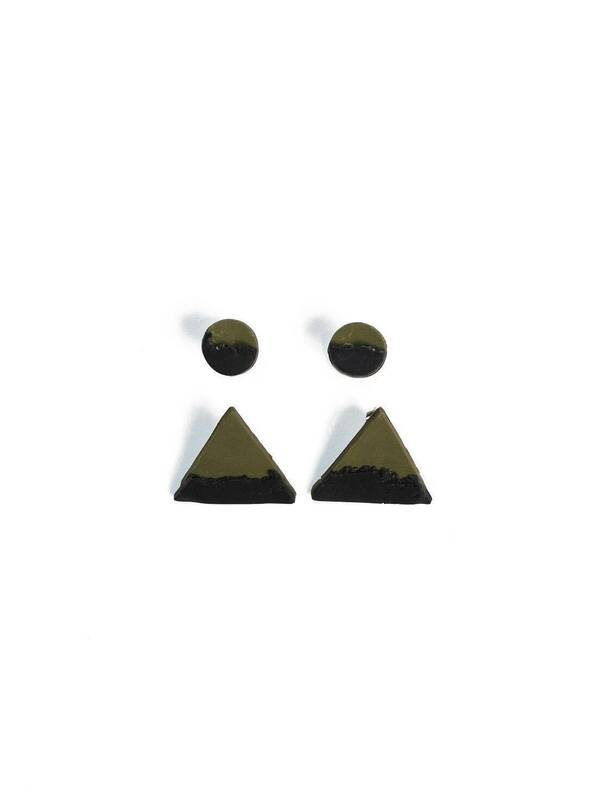 These earrings are made to match and highlight our own uniqueness. Warm and fun they are perfect for fall & winter! Size variations make them perfect for any occasion. Extremely light weight they make statements pieces look great while assuring all day long comfort.